A team of Fleet-Marine Units operating in the far-flung Sulu Archipelago moved in over the weekend to rescue a group of hostages held by Islamic terrorists of the Abu Sayyaf Group. 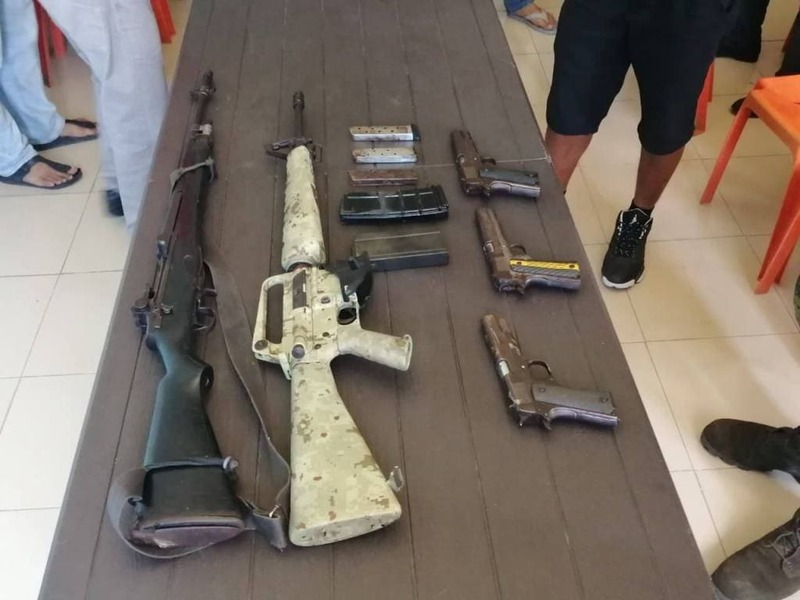 The action, which included a 10-minute firefight, ultimately led to the freedom of two Indonesians and one Malaysian hostage after “the neutralization” of three ASG members. 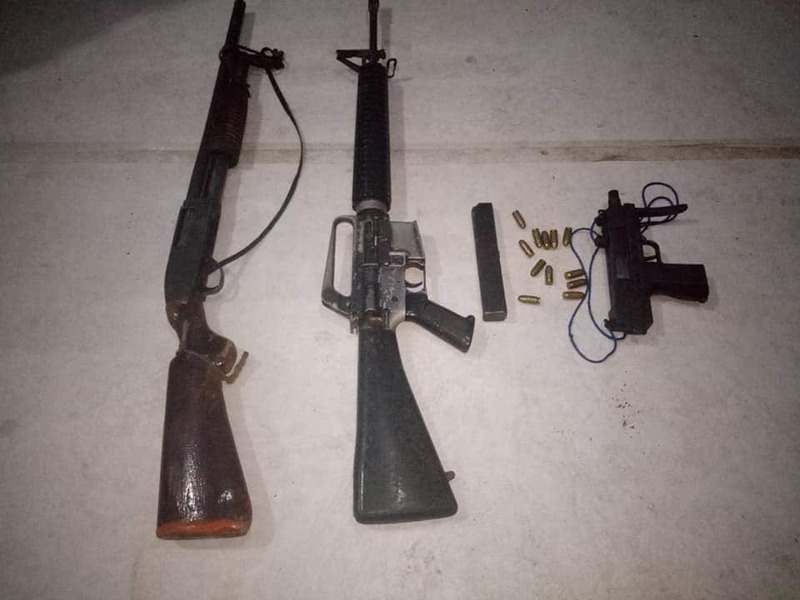 Captured by the Marines were a pair of M14 rifles, two M16s — including one fitted with an M203 grenade launcher, and about a coffee can full of assorted ammo. Notably, one of the M14s has had its stock replaced with a side-folding plastic one that is no doubt a joy to shoot. The M16s are most likely domestically-made. Between 1974-1986, a local company, Elisco Tool Manufacturing Co. cranked out 150,000 M16A1s for the Philippine Government under license from Colt. In recent years, they have been refitted with A2 style handguards to replace the old Vietnam-era type. As such, old ETM M16s “in the white” are common in the islands. 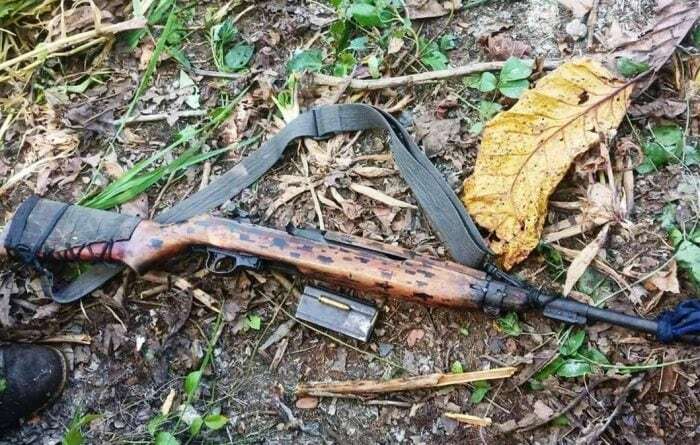 This shotgun, EMT M16 and likely locally-made pistol were taken from New People’s Army cadres on Samar. 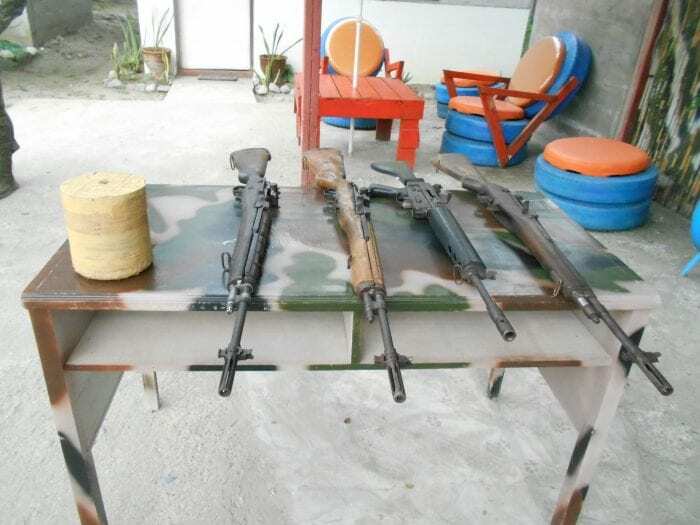 The Philipines has a large cottage industry when it comes to gun production. Not just M14s but a nice Armalite AR18 as well. In 1983, ArmaLite was sold to Elisco and the ’18 was made in the PI for a few years as well. 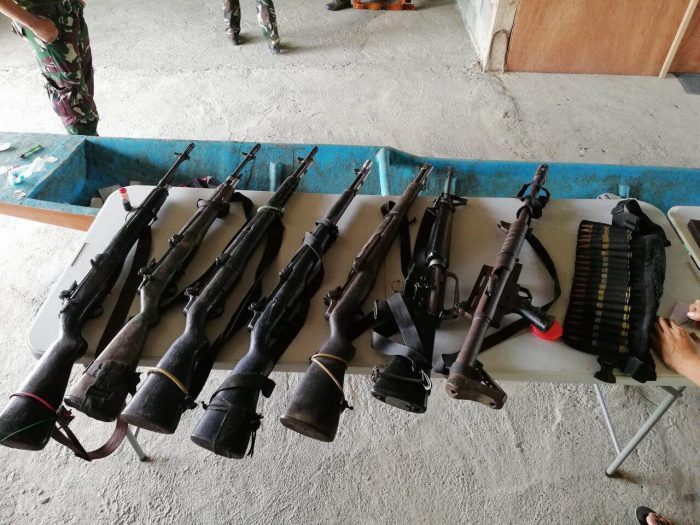 As for Abu Sayyaf, the dwindling group has been around for about 30 years but has spent most of the past decade funding their operations through kidnap and ransom. 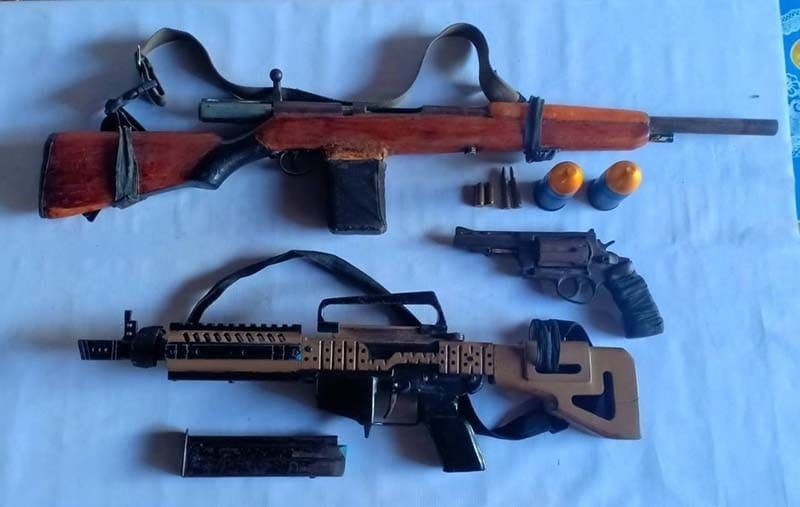 Currently, the Philippine Marines are equipped with Remington-made R4 rifles and are soon to be equipped with Armscor (Rock Island) double-stack 1911s to replace older U.S.-supplied .45s.